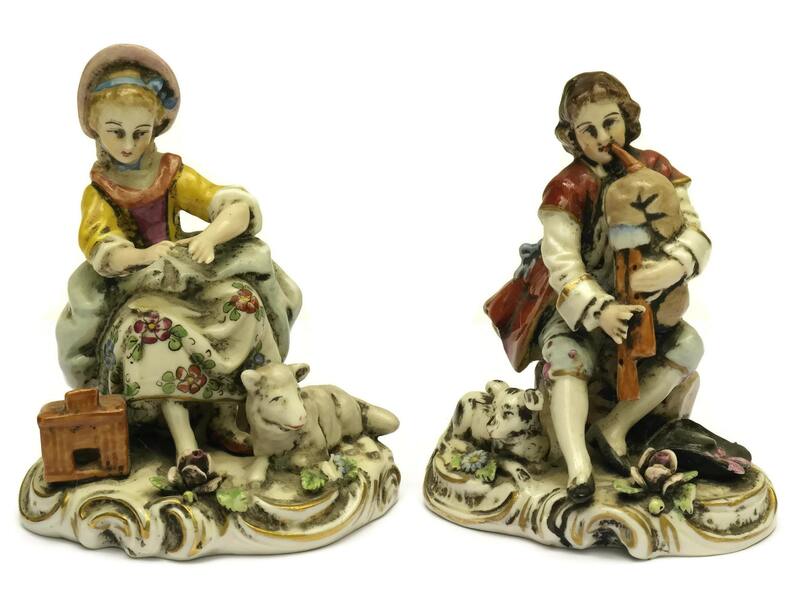 German Antique Sitzendorf Porcelain Figurines of Young Lady and Man playing Bagpipe with Dog and Sheep. 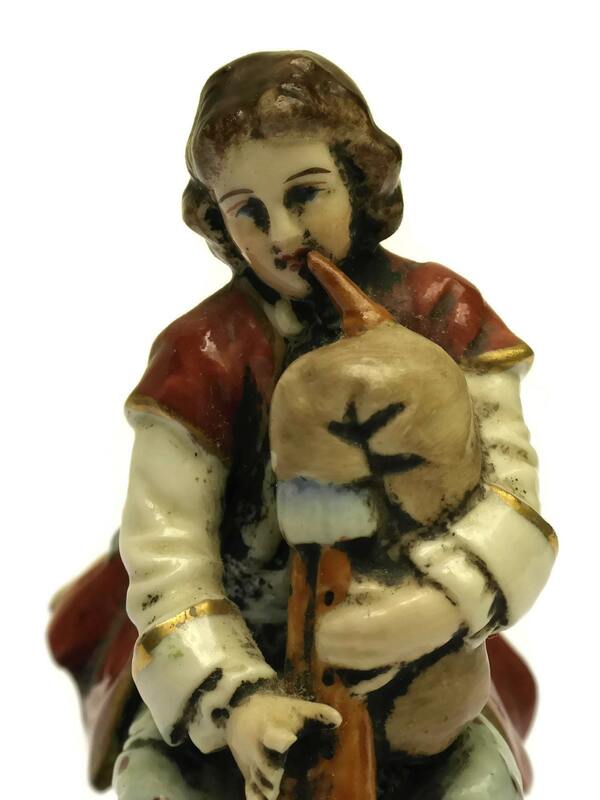 Collectible Ceramic Figures. 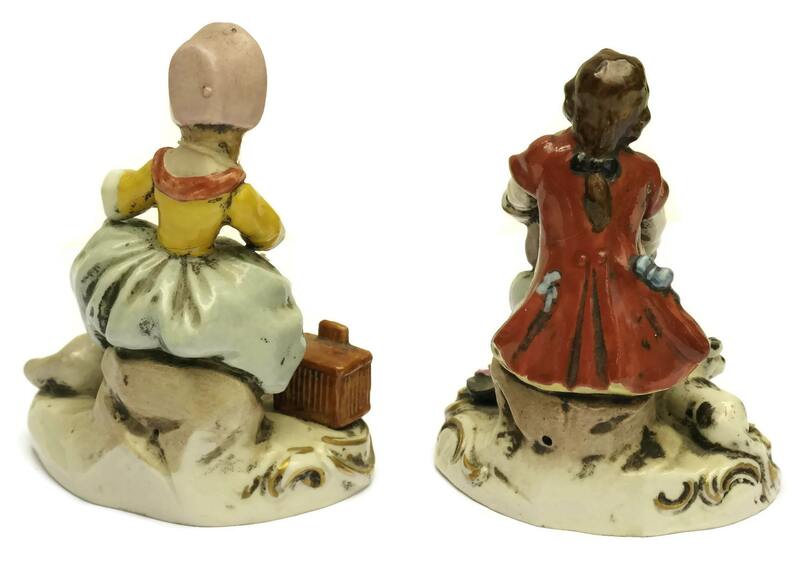 A charming pair of German antique Sitzendorf porcelain figurines. 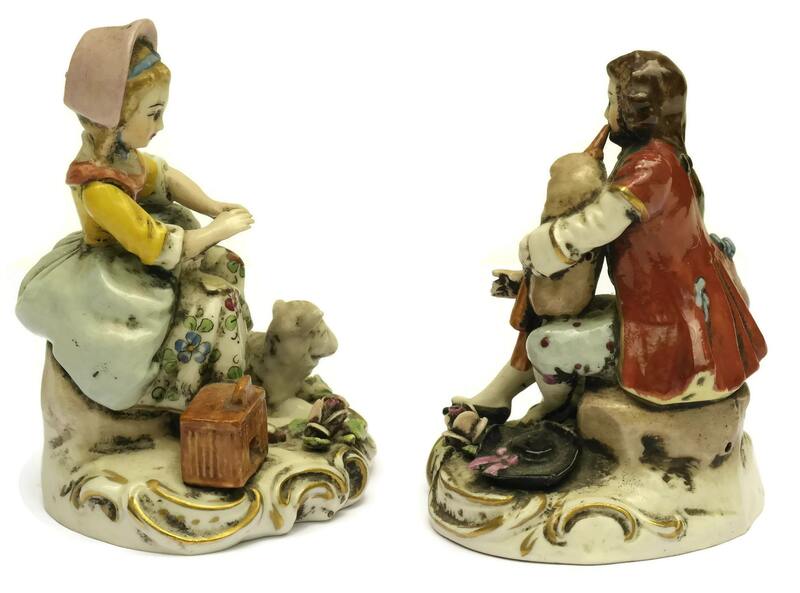 They portray a young lady and man seated in a rustic setting. 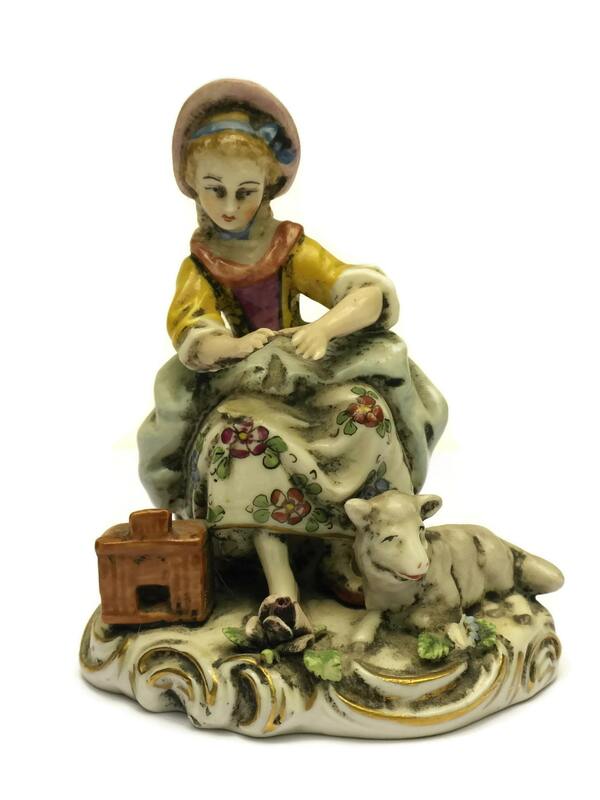 The lady wears a bonnet and has a sheep and small opened bird cage at her feet. 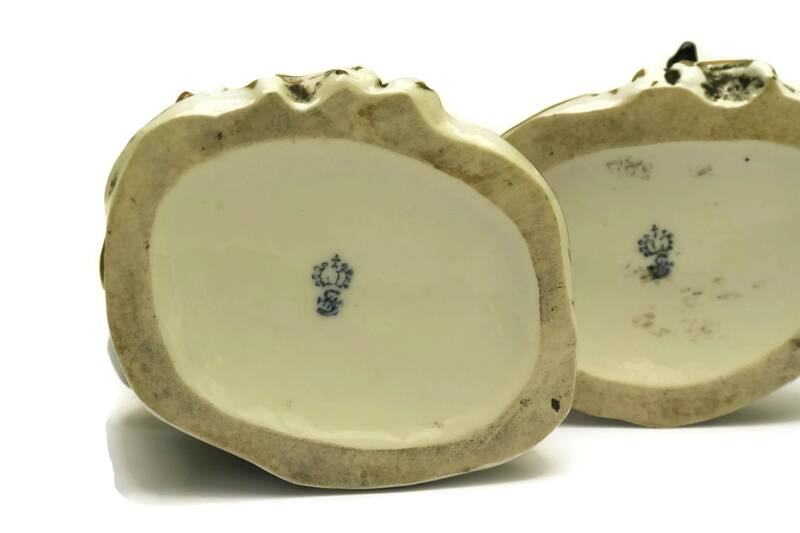 Originally there was a little bird who would have sat on her lap but this has unfortunately been lost. 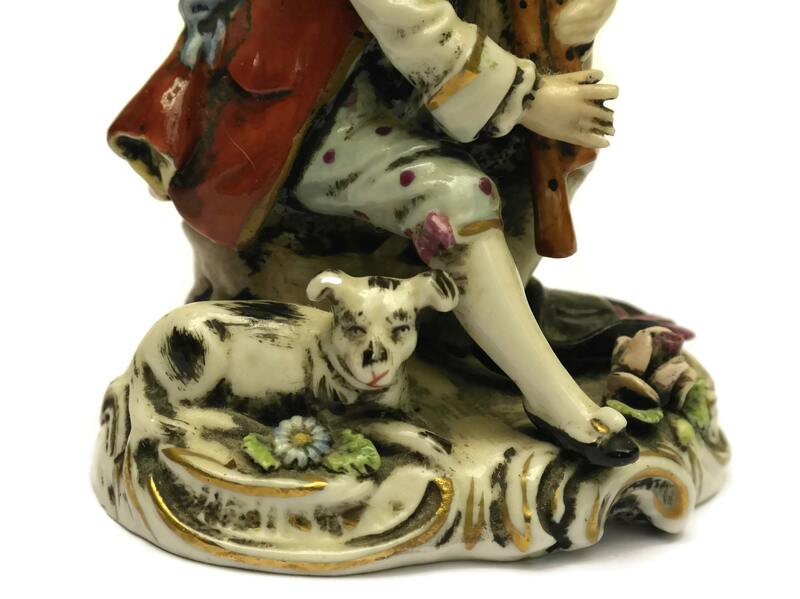 The figure of the young man playing his bagpipes has a small dog and wide brimmed hat at his feet. 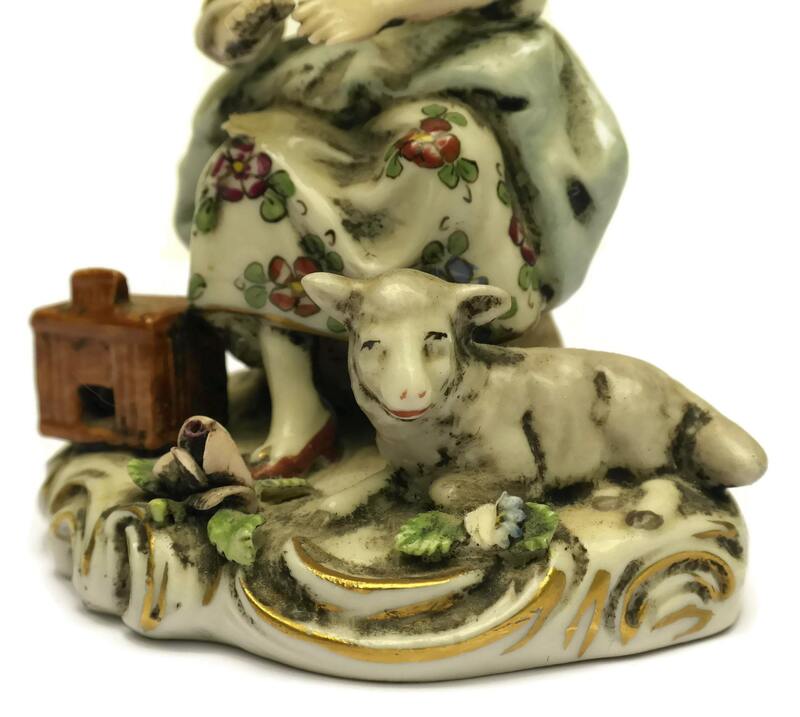 Both porcelain figurines have been stamped on the underside with the Sitzendorf maker's mark of a crown and letter S.
The lady: 3 1/2" Tall x 3" Wide (9 cm x 7,5 cm). The man: 3 1/4" Long x 2 3/4" Wide (8,5 cm x 7 cm). 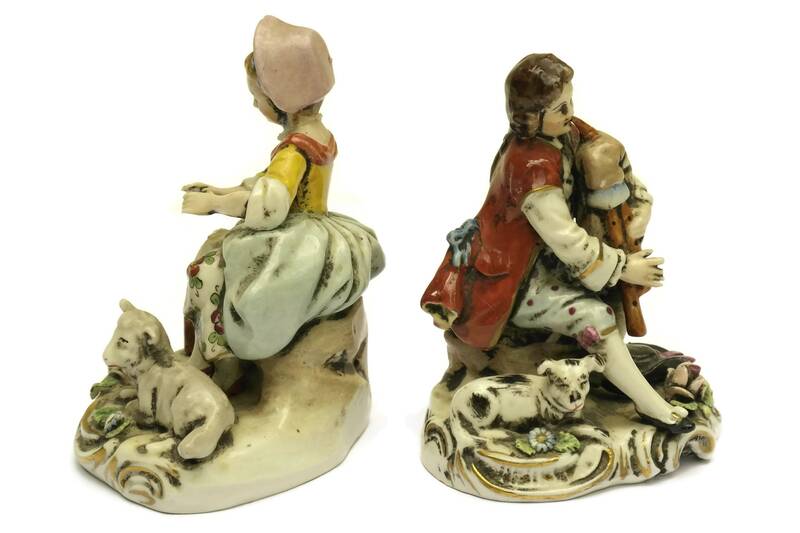 The porcelain figurines are in good condition with some signs of age and wear. 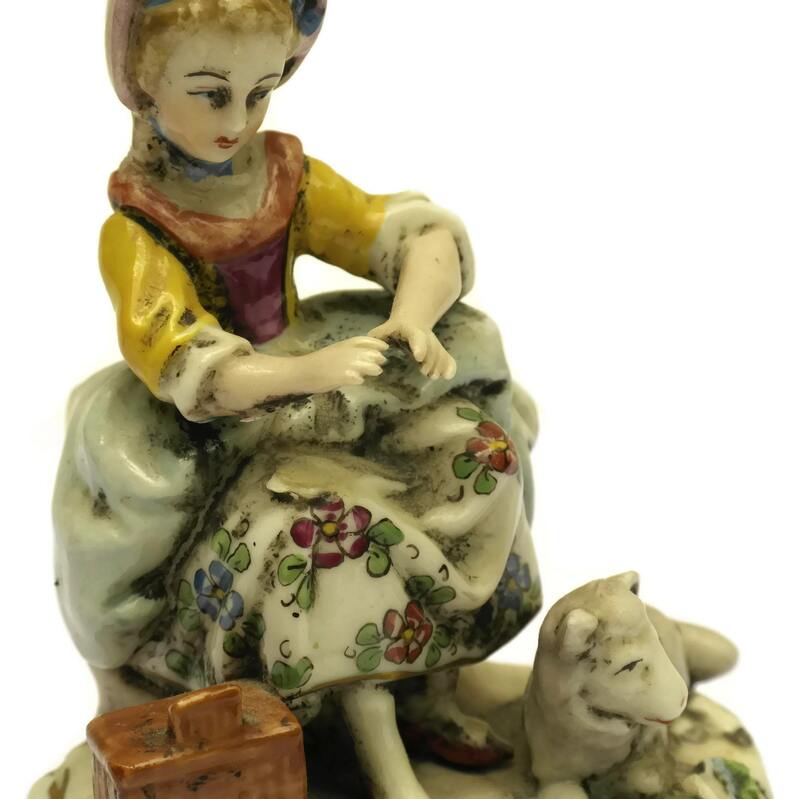 The lady figurine is missing the little bird on her lap and there is a small chip to one of the flower petals at her feet. The tips of 3 fingers on the man figure have broken off.